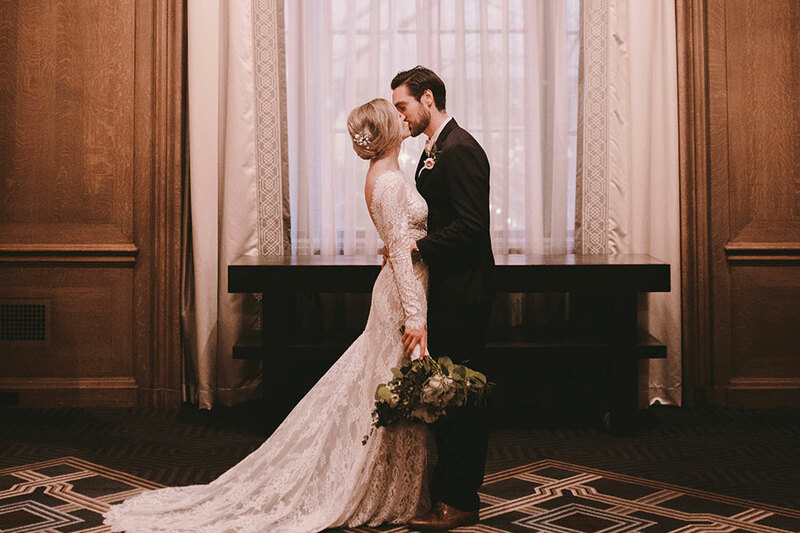 Labor and delivery nurse Lily Gaffney and professional soccer player Kyle Bjornethun, who plays for Toronto FC II, turned a high school summer romance into lasting love, dating for six years all the way through college before Kyle proposed. 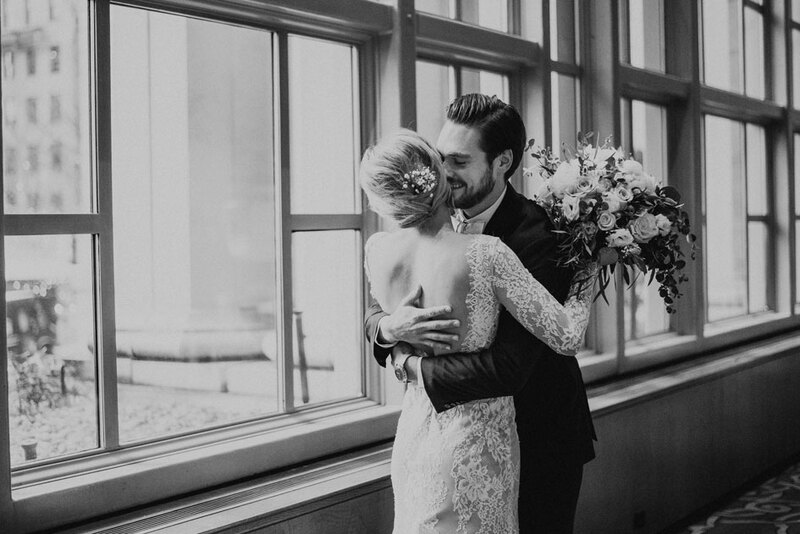 With Kyle’s off-season calling for a winter wedding, the pair searched long and hard for the right site before discovering The Sanctuary, a venue still under construction at the time, located in a 1906 Byzantine-style church in downtown Seattle. 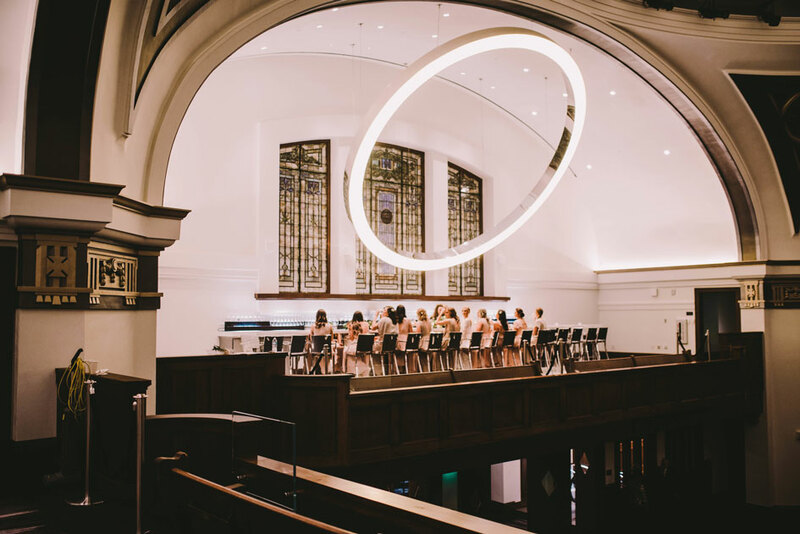 Even as they toured the site in hard hats and construction vests, Lily fell in love with the church’s stained glass windows and traditional pipe organs, and the couple became the first to say their “I do’s” in the restored and remodeled building. 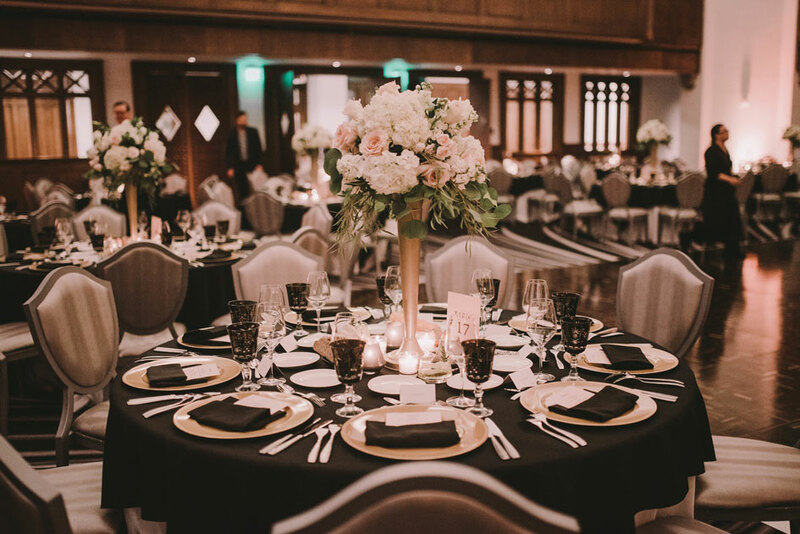 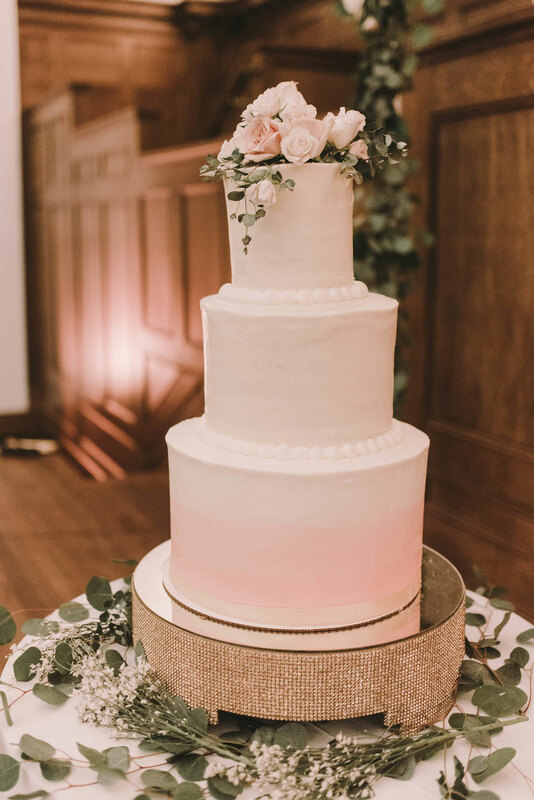 The ultraromantic late December celebration included a custom menu crafted by chef Gavin Stephenson—the epic cheese course and chanterelle mushroom and spring onion turnovers were instant favorites—as well as a surprise serenade performed by the groom to his new wife.